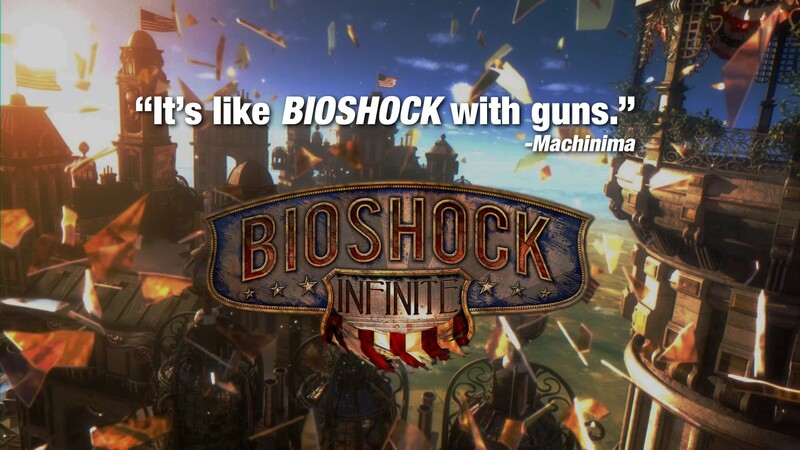 BioShock Infinite Review from Adam Sessler. Also a heads up, the game releases in about 5 hours on Steam. If you "pre order" now, you get a free copy of XCOM Enemy Unknown. Fucks sake Sessler went straight from G4 preening jackass to pretentious douche somewhere in the last 5 years. How can you justify pulling out "Verisimilitude" in a game review? Someone beat trounce lambaste flagellate him for me. from the streams I've been watching of this game it looks really interesting. They are saying this game is an early contender for game of the year. GMG is offering 14 Bucks cash back, or 15 Bucks credit at their site if you purchase BioShock. GMG is pretty damn good about sales and whatnot, so I'd recommend the credit if you're thinking of any upcoming purchases. Requires a Steam account for DRM. You also get a choice of free games as well if you purchase through GMG. The only issue I have with them is that you can't gift the purchases to friends, so stick with Steam if that's what you want to do. Picked it up last night and it's probably one of the best gaming experiences I've had. Really very beautiful, immersible, and enjoyable! I took my laptop into the bathtub after installing. (Insert bad pun about an infinite biological shock.) Lies, Crabbok. Lies! The people on this board are merciless when grammar/spelling mistakes are made. Which makes them juicy targets for trolling. Not that I have to tell you that lol. SimplePortal 2.3.5 © 2008-2012, SimplePortal — Page created in 0.264 seconds with 30 queries.